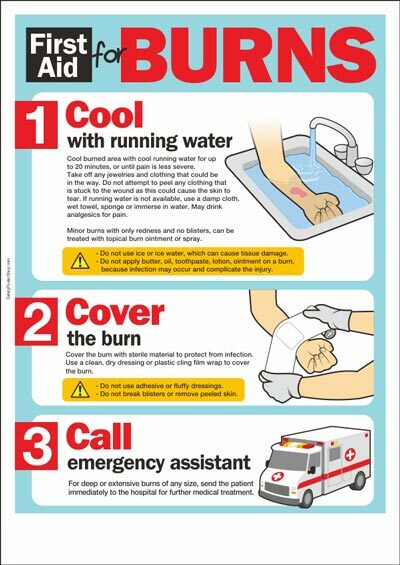 Each year an estimated 9,000 children in Canada visit hospital emergency rooms for burns and close to 1,000 are hospitalized as a result of these injuries. Approximately 120 children will die from their injuries each year. The B.C Professionals Fire Fighters’ Burn Fund’s Annual Awareness Week (BAW) Program is designed to teach kids to be responsible for their own safety, and helps make families aware of potentially harmful situations. The program targets children in the high risk age group of pre-school to grade seven. Always turn on cold water first. Then gradually add hot water to safely adjust the temperature. When finished, turn off hot water first, then cold. Always test young children’s bath and sink water before using. Scalds from hot tap water are severe. Children’s skin is thinner and more sensitive. Most home water heaters in Canada are set to 60°C (140°F). At this temperature, a child’s skin can burn in seconds. 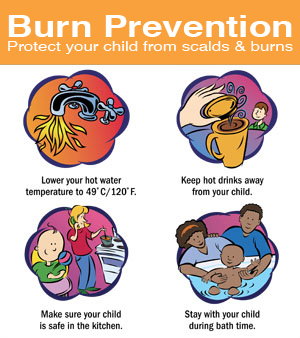 For more safety tips, please visit the BC Professional Fire Fighters’ Burn Fund at www.burnfund.org. There is an excellent program filled with downloadable and printable materials to teach all ages about fire safety here.